I have a new theme song for Supernatural. It’s “Secrets and Lies,” sung to the tune of “Silver and Gold.” Because Sam and Dean seem to be living up to the words to a tee. When will the Winchesters learn? They’re never going to reach a happy ending by hiding information from one another. Even repeating the fact that they’re stronger together than apart doesn’t seem to make them realize what that means. So sad. I was left with a lot of confusion and frustration with this episode. What could have been a really nice jaunt into the Men of Letters past turned into a wasted opportunity of plot points and twists. We have this interesting and mysterious box hidden in the basement of an old Men of Letters chapter, with historical fill-in by Magnus and the group. Fantastic set-up, but not enough Magnus and not enough supporting plot. Why did Suzie decide to just take a hammer to the basement wall? Out of frustration? And why did she just keep hacking at the wall and then explore the hidden chamber? Because of curiosity? The only highlight of the storyline was the cursed nature that was placed upon Suzie, though again I’m not sure why that was a follow-through. How was she keeping the evil in when it had already escaped? And how did it get trapped again in the first place? It seemed like she just needed to leave the house and the curse behind, rather than being haunted by it continually, but instead she stood watch until whatever end of days she might see. And really it was just a middle ground plot to carry the Sam and Rowena pair-up. Though, in the end, it wasn’t really Rowena helping him open the box or trying to get him to bleed himself to death. That was all related to the curse. I’m not sure what I think of the pair-up just yet. On one hand, I love Rowena and her devilish nature, so having Sam join forces with her to accomplish his own gain seems interesting. On the other hand, Sam’s very quick to agree to her requests and seems to feel like he can control her as easily as chaining her up and forcing her to do his bidding. In reality, he’s in way over his head and you know this is going to backfire on all of them. I actually am more confused over where he has her chained up, because it’s not the bunker and it’s not Hell, so where is it? And how can he ensure that she’ll stay where he put her? How can he keep watch over her? It wasn’t explained very well. 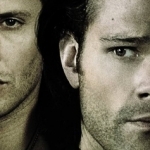 The plotline surrounding the box’s powers over Dean was messy, too. Or maybe it was just too drawn-out. 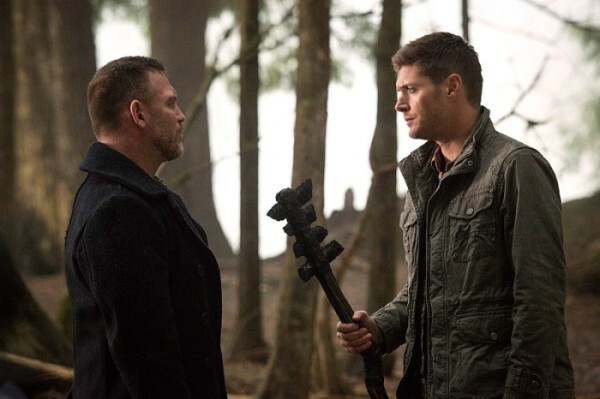 Dean sees himself in Purgatory, he sees Benny there, and his old vampire friend is trying to get him to commit suicide. Okay, but there are multiple problems with this. First of all, Dean knows it’s not real. Secondly, we all know he can’t die, so all the tempting from Dream!Benny in the world isn’t going to change that. 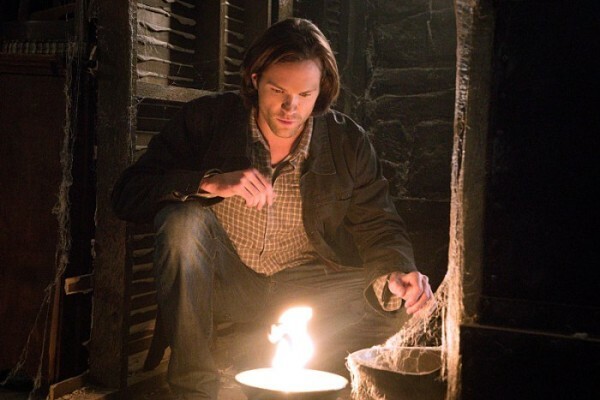 Thirdly, the fact that he was holding a broken bottle in the real world, seemingly ready to off himself, would have been more interesting if he had slept-walk and was trying to kill Sam unknowingly. No, instead we get a round and round conversation that accomplished nothing. I’m willing to soldier on, because I know we’re heading toward an exciting conclusion, but this episode was definitely a weak point in a long line of home runs. I do think Rowena’s going to play a big part in the Winchesters’ destruction, and I think Metatron’s going to have a hand in it as well, but who is going to survive past the finale? That’s the big question. I’m in constant fear that dear old Crowley may reach the end of his road, thanks to his dear old mother. 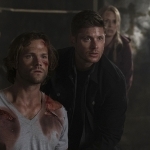 And, if past finales are anything to go by, neither Sam nor Dean is looking too safe either. We’ve just got to hold on for the ride.